Sign me up for anything with digital prints. 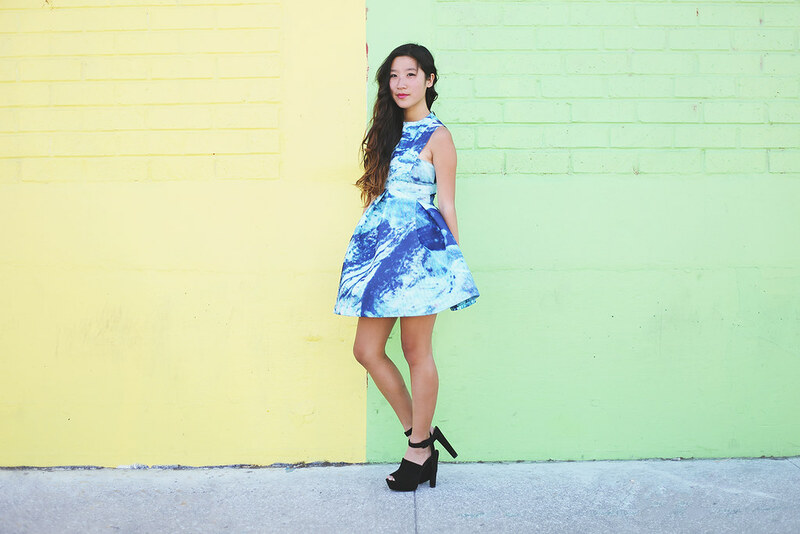 This skater dress from AQAQ puts me in full summer wanderlust mode. It has just the right amount of structure and print that I don't even need to accessorize with the adorable unicorn clutch being an exception because well, it's a unicorn. I love that second image, what a beautiful frock! Amazing dress and bag!!! Pretty! you look so pretty..!! I love the dress..
Amazing dress, amazing blog, amazing you! And oh my you almost look like Sandra Oh from Grey's Anatomy! She (you) is so beautiful! !